There's nothing that works Londoners into a frenzy quite like free burgers, except perhaps the First Pub Garden Day of the year. 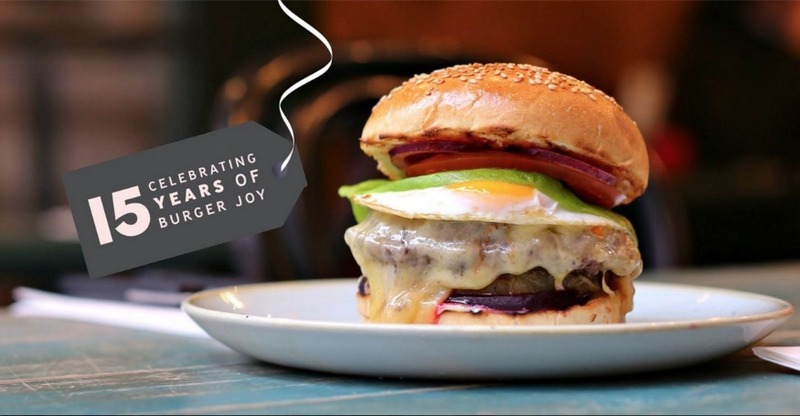 This week, GBK are giving away 1,500 cheeseburgers as part of their 15th birthday celebrations. The burgers will be available from 1-3 March across all branches, with 500 burgers given away each day. To get your hands on a burger you'll need to download the GBK app and obtain a customer ID number, then keep an eye on their dedicated free burger page (from 11am) in order to claim your freebie. You'll need to keep those peepers peeled though because they're sure to run out fast. Didn't make it time? Why not try one of these 10 great London burgers instead.